Spinalonga is a small island located in Lasithi , in the province of Mirabello near Elounda . It has also been known as the island of lepers . 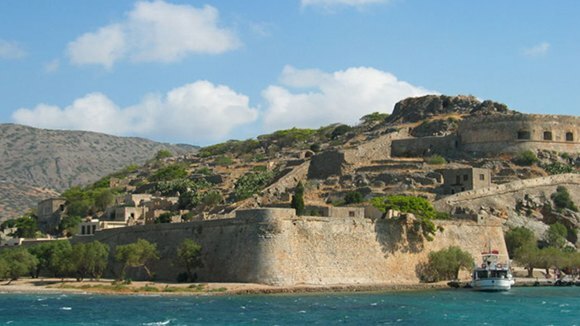 The ancient name of the island is Caledon but after it was conquered by the Venetians named Spinalonga . considering it to be the next target of the Ottomans . Thus began fortifying Spinalonga in 1574 . Finally, the island was occupied in 1715 by the Turks . Since 1903 , Spinalonga became operational as Leper . Initially only disconnects the Cretans lepers but gradually transferred patients from all over Greece until it finally came to an International Leper . The virus of leprosy was contagious and apart the absence of treatment. Living conditions were difficult as patients could not cover many times nor their basic needs so that they escape from the island in search of food . In 1948 he was discovered in America in medicine that cured the deadly disease resulting in drastically reduced the number of patients in Spinalonga . 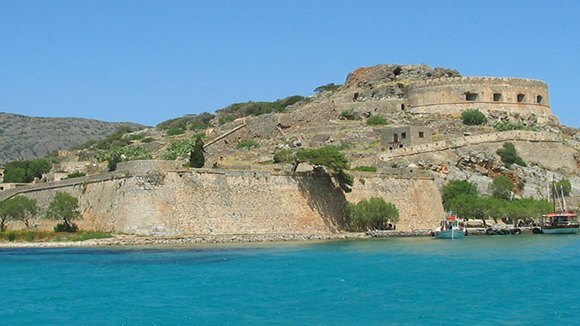 Today Spinalonga has declared an archaeological site . The British author Victoria Hislop has give a special mention as he wrote an entire novel about the island of lepers . The novel is called ” The Island ” , has become a best -seller and has been translated into 14 languages ​​. argues that the Lake has not bottomed and that associated with the volcano . An atmosphere full of mysteries is waiting for you as you enjoy a relaxing boat journey. 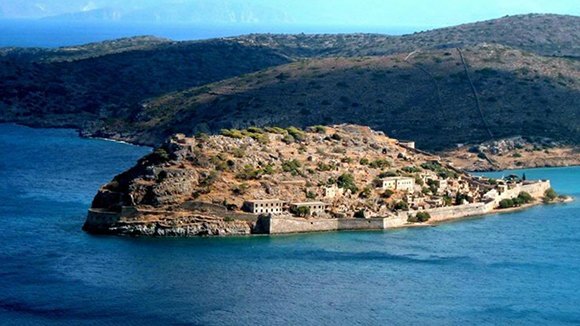 The island of Spinalonga, actually a little island – rock just 850 meters round the gulf of Elounda, was firstly inhabited by Christians who used the island as a hiding place during the Roman occupation of Crete. In 1575 the Venetians constructed there a most impressive fortress, which was later converted into a colony for the lepers. The boat will stay for about one hour in the little rock of Spinalonga giving you time to go around and see the island. 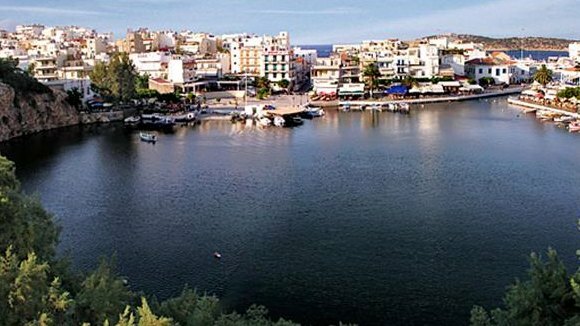 The next stop will be the small and beautiful village of Elounda where you will have time to enjoy your lunch and do some shopping and sight seen in the fishermen´s village. 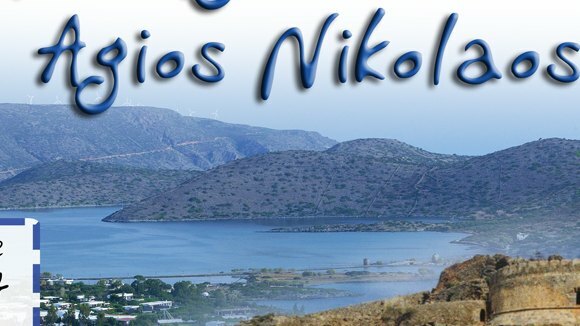 After finishing the lunch you will return slowly back to Agios Nikolaos giving you time for sunbathing and relax on the sun decks of the boat, with a stop for swimming in Kolokitha beach, a nice sandy beach located between Spinalonga and Elounda on the way back to Agios Nikolaos. EXTRA PAID ON BUS Entrance to Spinalonga 8.00€. 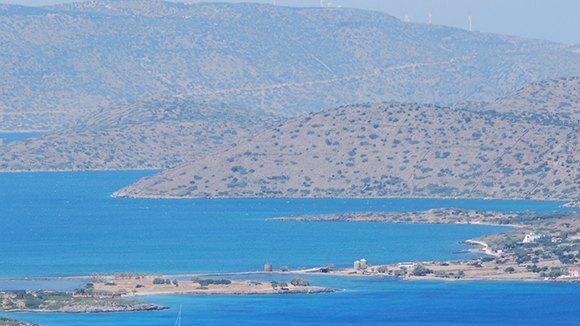 Before our arrival in ELOUNDA we stop to take photos of the beautiful view overlooking Spinalonga island and Kolokythia. Our boat is waiting to take us across the crystal sea to the famous island of SPINALONGA where our guide will introduce us to the history and famous story of this island that was once shrouded in sadness when it was occupied by the Lepers and their families. In recent years the famed “Island of Tears” has been portrayed in the best selling novel ‘The Island” by Victoria Hasslop and has been made into a highly popular series on Greek T.V. 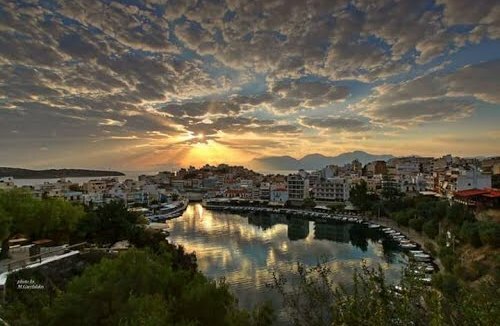 The next stop, on this amazing day, will be on the tiny island of KOLOKYTHIA where we can swim while the boat crew prepare our delicious BBQ of grilled meat, salad, wine and local fruits. 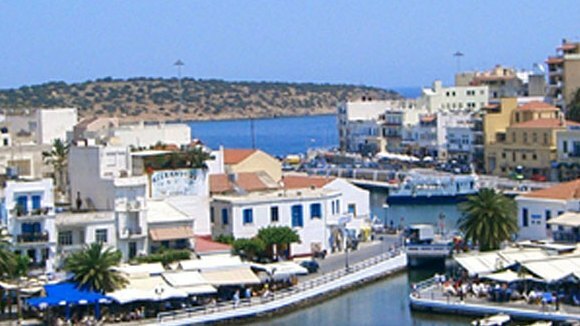 After lunch we arrive back in ELOUNDA for our coach journey to the lovely harbour town of AGHIOS NICHOLAS for an afternoon stroll or coffee in one of the cafes surrounding the harbour. Visit the world wide known island of Santorini (Thira), famous for the spectacular sunset where you can enjoy from every point of the island. 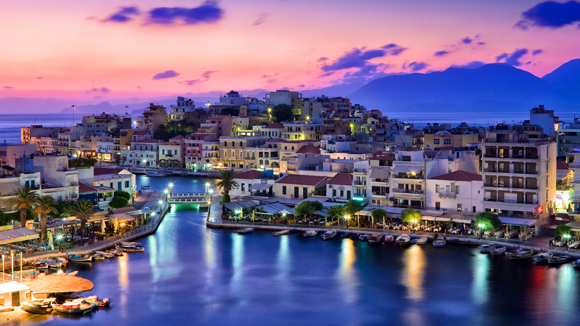 Enjoy the world's most beautiful island with our one-day guided tour, and feel the magic.